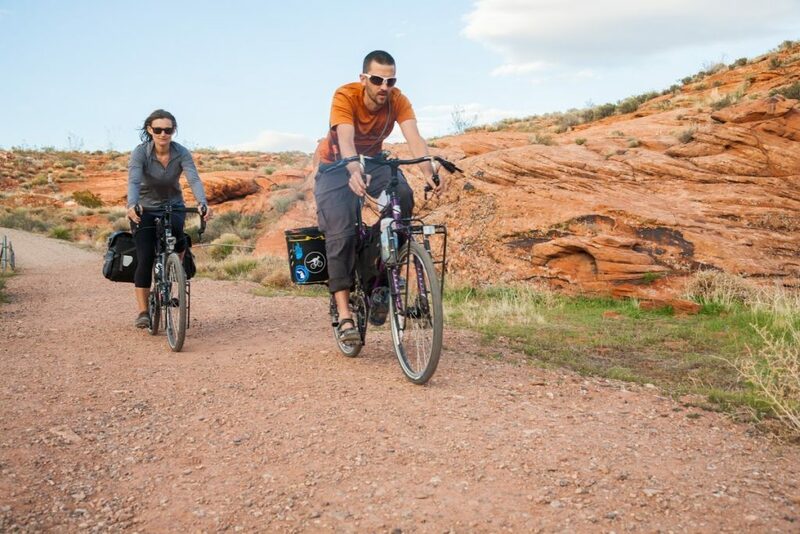 ST. GEORGE — The love for cycling and sustainability is taking a St. George couple on a two-year cycling trip from Alaska to Argentina. The idea started with a pact Chris Haag and his wife Sophie George made in November to leave St. George and travel for a couple of years. Now they’re venturing 20,000 miles on bike while passing through more than 15 countries. For cycling tour enthusiasts, cycling from Alaska to Argentina is iconic, Haag said. Both Haag and George have done cycling tours before but nothing like this. George said she cycled from coast to coast in Michigan, which lasted around five days. And Haag had gone about 1,200 miles during a cycling tour before. “Biking has increasingly become a really important part of who I am,” George said. George began working at Dixie State University as an assistant professor in fall 2015 and joined the sustainability committee in January 2016 after learning the campus had very little recycling. Both she and Haag quit their jobs to go on this cycling tour, while of course making sure they had money saved up beforehand, George said. Haag and George will begin their trip in Homer, Alaska. They’ll arrive at June 29 and begin cycling July 2. 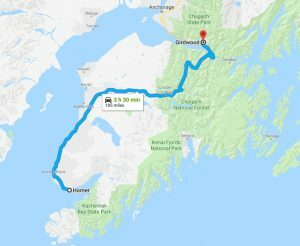 Their first stop is a music festival in Girdwood, Alaska, which is over 180 miles from Homer. They will then bike to Anchorage, Alaska, and ride along the Denali Highway that stretches 135 miles. From there, they’ll see where the road takes them as long as they make it to Argentina within two years. “I know we want to come through St. George because we are leaving our cat and our dog here, so that’s the hardest thing about leaving,” George said. Although both have done cycling tours before, George said cycling with a fully-loaded bike is a “different beast.” Haag said his bike, with no food or water, will be about 85 pounds, while her bike will be about 80 pounds. When cycling through desert areas like Mexico, Haag said they’ll be hauling 30 pounds of water, making their bikes close to 125 pounds. While physical stamina is important, she said biking for her has become more logical. While doing all-day bike rides, like from St. George to LaVerkin and back, George was able to convince herself that she can do a full days worth of riding. While in Argentina, George and Haag will be able to practice their Spanish, which they both learned by taking a course together at Dixie State. After finding someone in February to watch their pets while they’re gone, Haag and George began preparing for their trip by purchasing bikes and plane tickets. Then they began figuring out what items they would need to bring. Their list includes both necessities and “frivolous” items. Some of the necessities they’ll be bringing, Haag said, are clothing, water, a tent, tools for their bike and money for food. Some of the items they insisted on bringing, but said they didn’t necessarily need, include a drone, electric toothbrush and chair. “I insisted that we bring a chair, which is a luxury because you can sit on the floor or a rock, but the idea that cycling 30 to 100 miles and then sitting on the floor is just dreadful,” George said. Their bikes even have dynamo hubs, which are small electrical generators, attached to charge their phones and laptop while they pedal. For George, the most difficult aspect while planning for the trip was dealing with immigration challenges since she’s from London. She has a green card and if she leaves the U.S. for more than six months, there’s no guarantee that she’ll be able to come back. “That was my biggest scare, like, ‘Oh no, what if I can’t come back,” she said. George soon realized, however, she is eligible to apply for a U.S. passport. Other preparations for their trip included figuring out how to ship their bikes to Alaska, receiving immunizations and calculating the cost for all of the gear. The name of Haag and George’s blog they created for this trip, The Places I Pee, comes from a long-running joke George had with herself since she moved from Detroit to Utah three years ago. 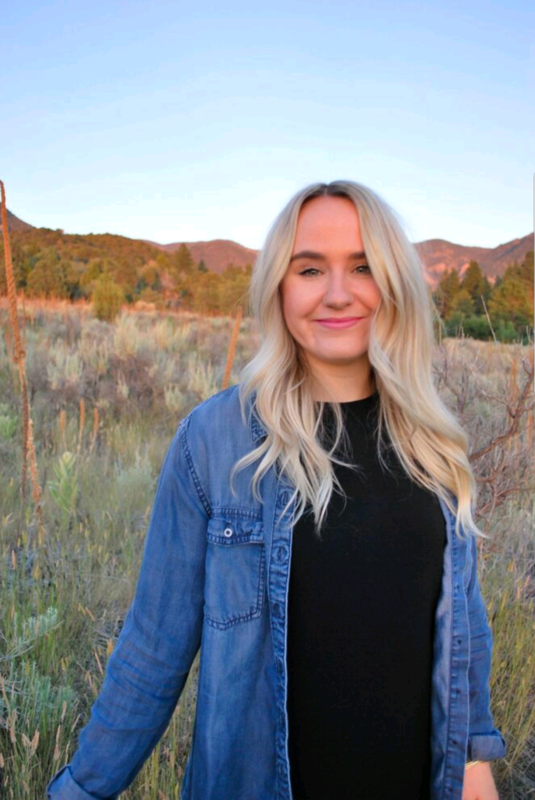 She realized one day that she went from peeing in a normal bathroom to peeing in “amazing places,” like Zion National Park and Grand Canyon National Park. They hope to post to their blog once a week, Haag said, since that’s as long as they can probably go without finding Wi-Fi. He also said they want to use their blog as a way to provide useful information for other cycling enthusiasts and to let family and friends know where they are. Some of the topics they’ve already written about on their blog include a list of gear items and prices, how to protect your laptop case, filing paperwork for visas and finding the right footwear for cycling. George also acknowledged she wants to inspire people to go on cycling tours. “I hope someone who didn’t think they were going to do it would do it,” she said. To follow along with Haag and George as they travel from Alaska to Argentina or to learn more about what it takes to prepare for a cycling tour, go to their website. While I think what they are doing is awesome, it is also very dangerous. Most of the countries below us, can be very seedy places. you must be referring to Las Vegas and Arizona… We have traveled Latin America for 40 years and never had a single problem. USA indeed has some of the worlds scariest cities. Good for our adventures. Americans really do need to get out and see the rest of the world- its really a beautiful place with many wonderful people. Been there. They are not all Costa Rica and Cancun. Rat holes. Hey look who’s back from their medical episode! Welcome back! Very corny project… Is this what you do when driving your Prius is not edgy enough anymore? Hope there is not a civil war in Nicaragua when they get there. Good Luck in Columbia too. I love mmsandie comments. It’s like playing a cryptogram.